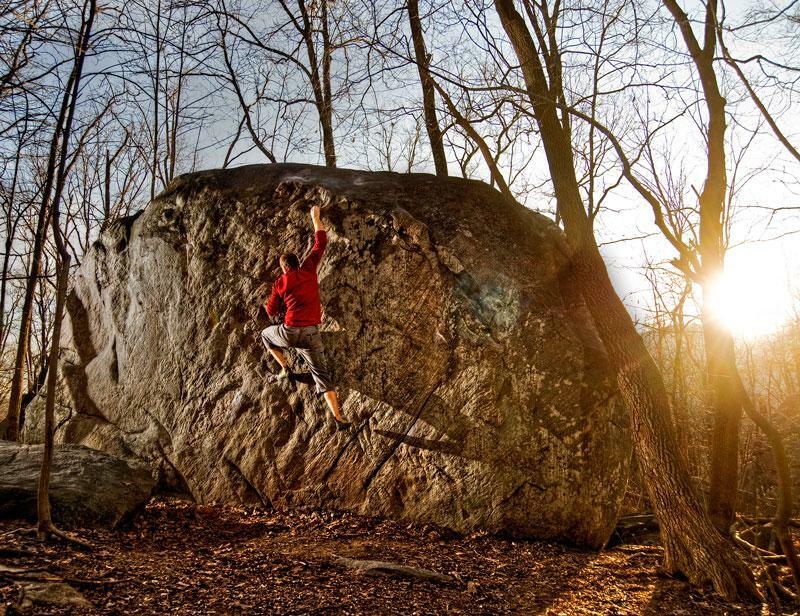 This weekend, the Triple Crown Bouldering Series will conclude its annual celebration of Southeastern climbing with the fourth and final competition a t Rumbling Bald in Lake Lure, North Carolina. 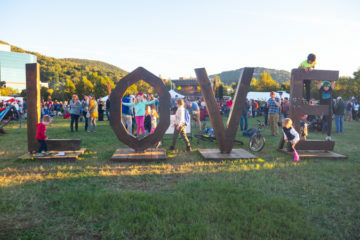 The annual Triple Crown Bouldering Series typically occurs in three parts – first at Hound Ears in Boone, North Carolina; and second at Little Rock City, or Stone Fort, in Chattanooga, Tennessee; before hitting Steele for the final leg of the competition. 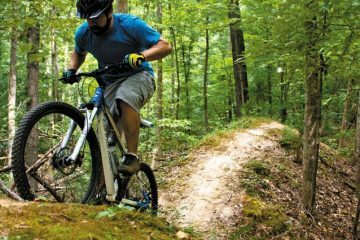 This year, the event has tacked on a fourth segment at Rumbling Bald in North Carolina to finish out the series. But this year, with the addition of Rumbling Bald in the eleventh hour, the Triple Crown has become a Quadruple. Like each of its predecessors, the Rumbling Bald competition will span about seven grueling hours as climbers tackle problem after problem to rack up points. Participants race through the boulder field on a mission to climb and document their ten best problems, each assigned a particular number value based on difficulty. Jim Horton and Chad Wykle, the brains behind the Triple Crown, do not expect Rumbling Bald to become a permanent feature of the series, but are excited to shake things up with this special addition. In light of last year’s disappointing cancellation of the Hound Ears leg due to disagreements with the property owners, Rumbling Bald will help to further reignite the spirit of the Triple Crown. 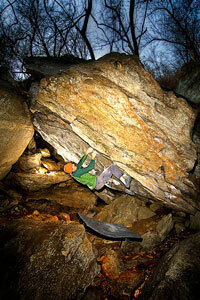 All boulder problems in the area are graded on the V scale, which on a worldwide scale currently ranges from V0 to V16. Climbers fall into categories based on gender and climbing grade: “Novice” includes men and women climbing V0 to V2, “Intermediate” looks to men from V3 to V5 and women from V3 to V4, “Advanced” holds men from V6 to V8 and women from V5 to V6, and the elite “Open” category applies to men on V9 or higher and women on V7 or higher. The top three climbers in each category win some seriously cool prizes, and all other competitors can walk away with plenty of equally solid door prizes, raffle items, and giveaways. Each leg of the Triple Crown serves to bring top-notch climbing opportunities and a healthy competitive atmosphere to boulderers of all levels, pure beginners and hard experts alike. The day may leave your muscles tired, your fingertips raw, and your stomach growling… but chances are, you’ll just relish all all these signs of a day well spent. Chalk up those hands, grab your shoes, and let the Triple Crown Bouldering Series get you psyched on climbing – even long after the day is done.